This home has good of curb appeal with a lot of strengths. The garage was converted into a room inside the home allowing extra space and room for a freezer. There are two carports along with RV parking located behind the backyard fence. A shop is located in the backyard as well and two storage sheds along with a patch of land located behind the backyard with a small barn for tools and livestock. A storm cellar is also located in the backyard. 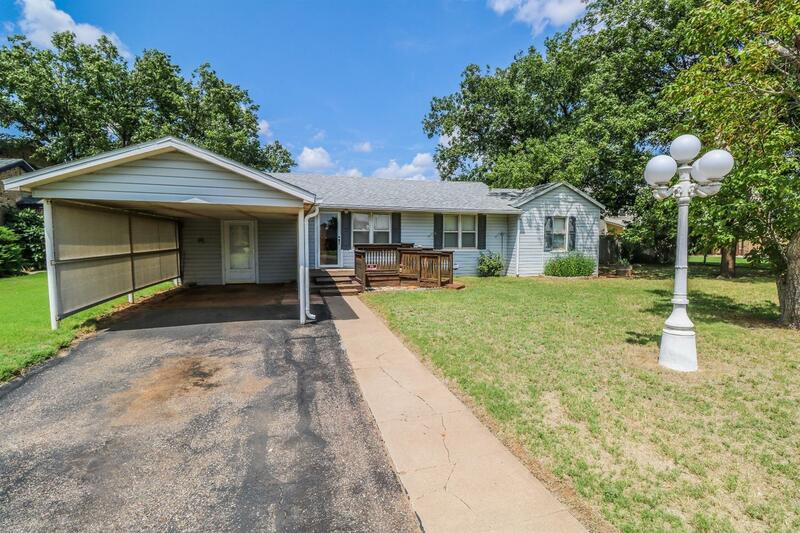 This property is located right down the road from the school. This could be a great new home for you!